Prison life is hard, very hard and it resets someone's brain and finally when one comes out to breath the fresh air, he/she thinks better..lol. But is the truth. 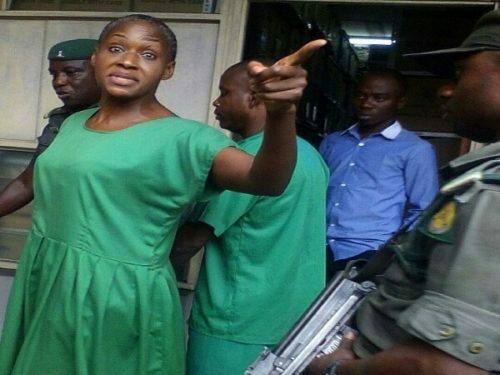 According to a tweet shared by Political commentator and blogger Omojuwa, daughter of former Oyo state Governor and blogger, Kemi Olunloyo has been released from detention after spending about 81 days. Kemi Omololu-Olunloyo, also known online as Snitchlady, is a Nigerian journalist, pharmacist, gun violence activist and social media personality. She is also the editor of #HNNAfrica, a world and health news blog. Kemi was arrested on March 14, 2017 and put in prison following a defamatory claims she made on her blog regarding the story of actress Iyabo Ojo and Pastor David Ibiyeomie in adultery mess.